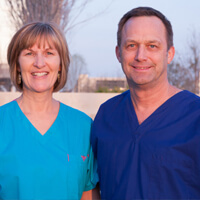 At the Plano office of hometown dentist Dr. Scott Bunday, we focus on the care and comfort of our patients. We want your experience with us to be relaxing and pleasant, which is why we do all that we can to make you feel at ease throughout your appointment. We use the latest in dental technology including intraoral cameras, digital X-rays, and paperless charting. During your checkup, we will examine your teeth and gums, assess your bite, check existing restorations, and determine the state of your oral health. We’ll always explain our treatment recommendations, and discuss your smile goals. We believe in simplicity. We focus on you and your oral health. Our desire is to provide the best general, restorative, and cosmetic dentistry possible. We want each and every patient to feel welcome, cared for, and happy with their treatments. We invite you to learn more about our dental practice, view our recommended specialists, and enjoy anecdotes from Dr. Bunday’s big game fishing adventures! Dr. Scott Bunday’s family lives and works in the community, and he is committed to making it a great place for all of our friends and neighbors in Plano, Allen, and all the surrounding communities. We’re not just another big box dental practice. 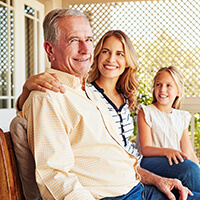 Our team will get to know you and your family personally, and help you feel like you’re a member of our family. Dr. Bunday and his team are happy to offer their skilled level of attentive care for patients of all ages in our Plano, TX dentistry office. We love working with kids and offer a variety of treatments specifically geared toward treating their developing smiles. Do you or a loved one have a toothache or dental damage that needs immediate care? Don’t hesitate to call Dr. Bunday and his Plano, TX dentistry team to schedule an emergency dental visit. In most cases, we’re able to see you right away on the day you call. If you’ve been to the dentist recently and spent the bulk of your time in the waiting room, you’re not alone. Too many dentistry practices double or triple book appointments and a 10 am appointment turns into 10:15 or 10:30 too often. Dr. Bunday does things differently, and the team works hard to see all of our patients at the time they’re scheduled.